You can transfer your booking to another class if it costs the same or less (at least 24 hours notice); you won’t be able to make changes with less than 24 hours notice. If you want to change your booking to a more expensive class, it is best to transfer your existing booking to class credits and make a new booking for another class. Please note there is usually a limit of 1 transfer per individual class booking (excluding transfers to class credit). 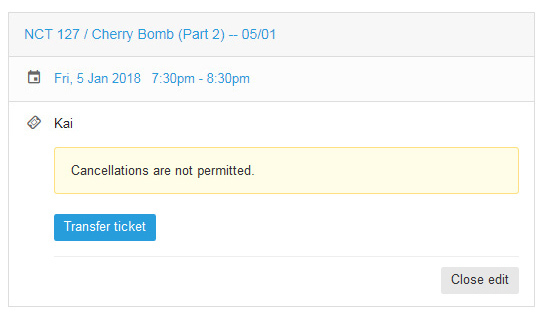 Use the green button labelled “View Booking” in your booking confirmation email. Press the “Ticket options” button. Press the “Transfer ticket” button for ticket transfers. Finally press the blue “Save” button and then press “OK” in the pop-up window to confirm your changes. 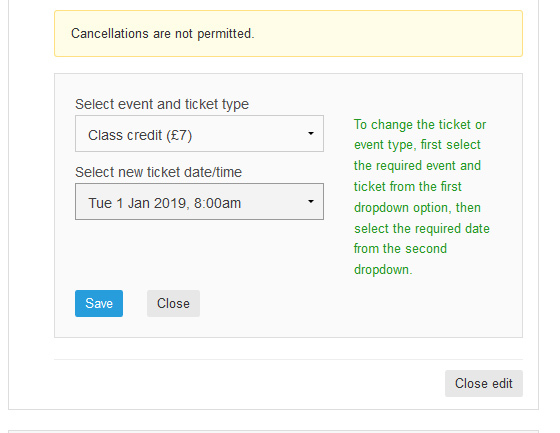 Use the green button labelled “View Booking” in your booking confirmation email, or by logging into your Bookwhen account and selecting the booking which has your class transfer. 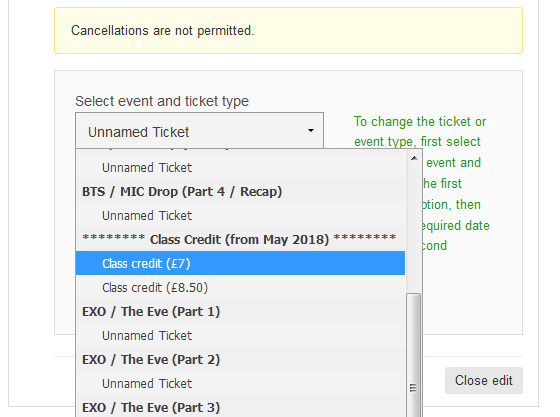 Find the Class Credit you would like to transfer and press the grey “Ticket options” button on the right. Press the blue “Transfer ticket” button at the bottom for ticket transfers. 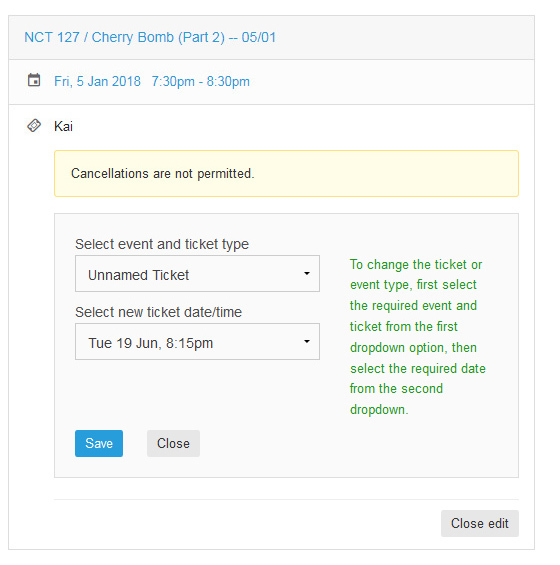 Use the “Select event and ticket type” dropdown list to choose another song and then select the required date from the second dropdown list.